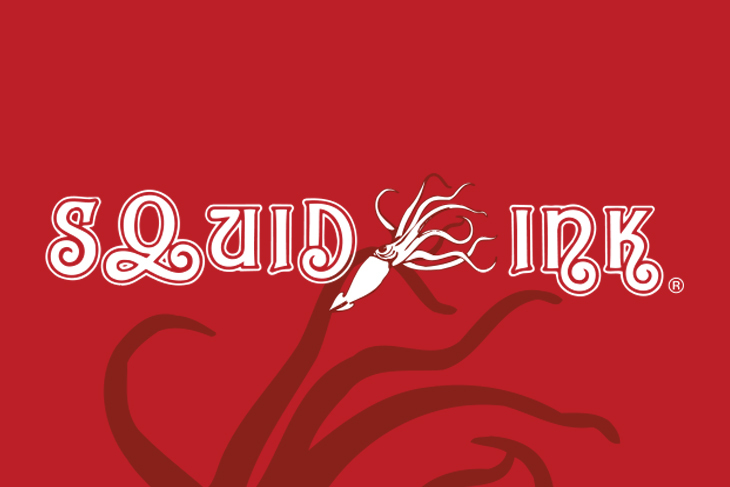 Squid UV is capable of curing inks in a 20mm x 80mm area from a single illumination module that can be doubled to cure an area of 40mm x 80mm or 20mm x 160mm with the addition of a second system. 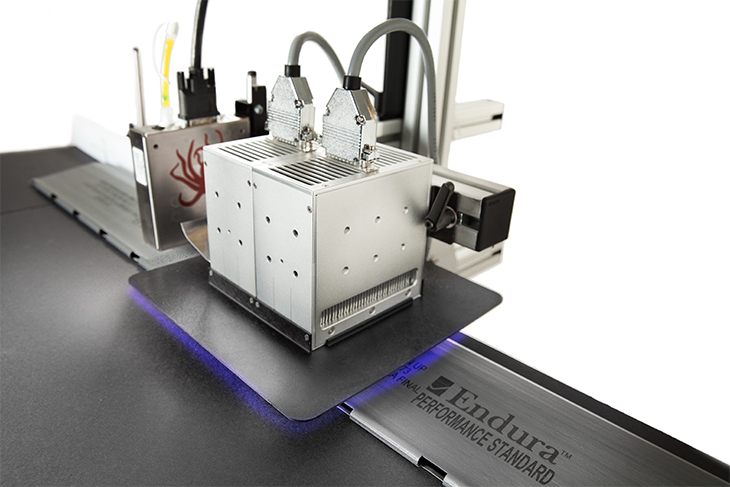 The system features an advanced LED module to provide consistent luminance, resulting in a reliably cured product, every time. 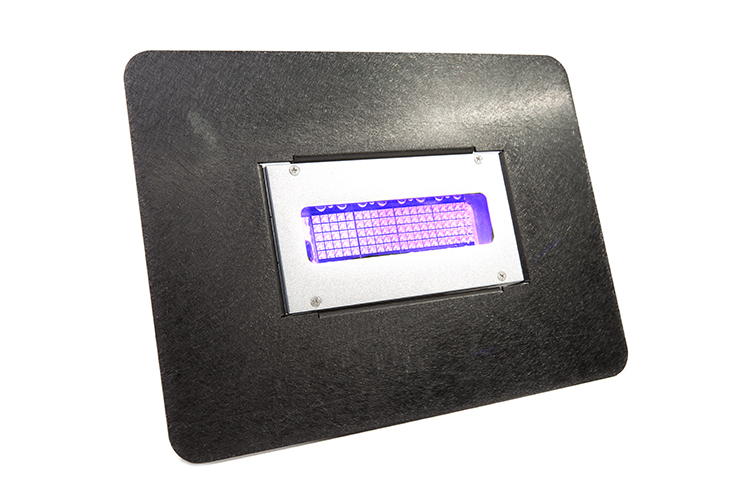 The stability of UV LED technology makes the output of electricity predictable and stable, avoiding problems associated with conventional halogen heat lamp drying. 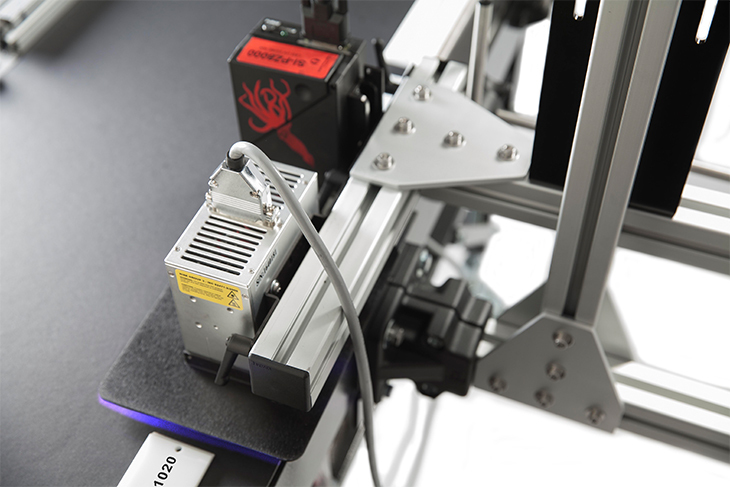 UV LED technology provides a stable and efficient way of curing CIJ, Piezo, and Thermal inkjet inks. 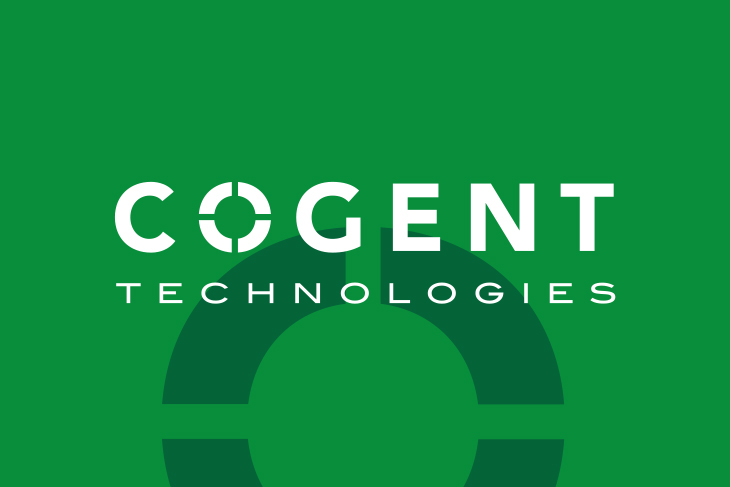 The integrated super cooling system considerably lowers the unit’s operating temperature to extend the life of the machinery while reducing maintenance costs. 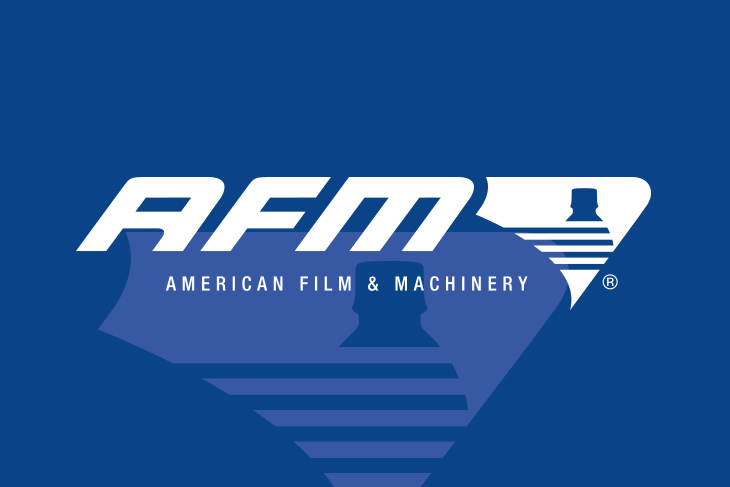 The use of UV LED curing results in a significant savings in power reduction, and time and money spent replacing lamps becomes obsolete due to the 20,000+ hour illumination runtime. 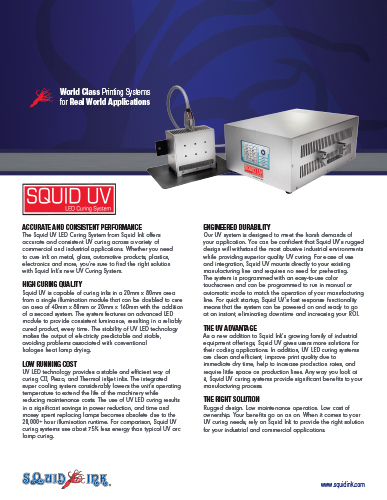 For comparison, Squid UV curing systems use about 75% less energy than typical UV arc lamp curing. 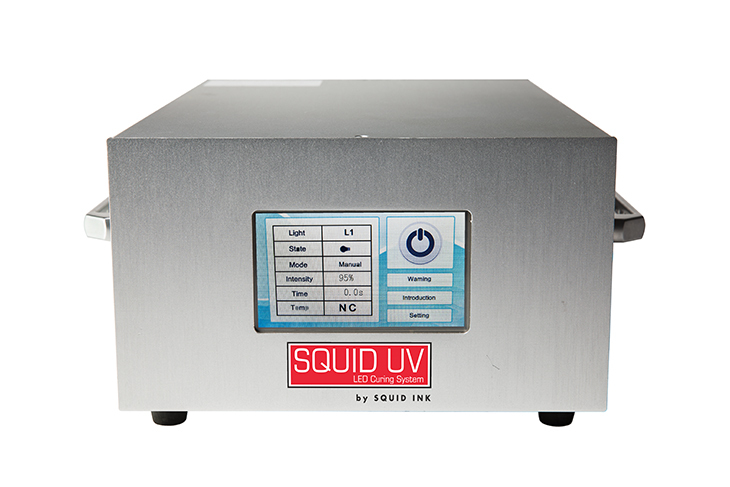 Squid UV LED offers instant on / instant off curing. 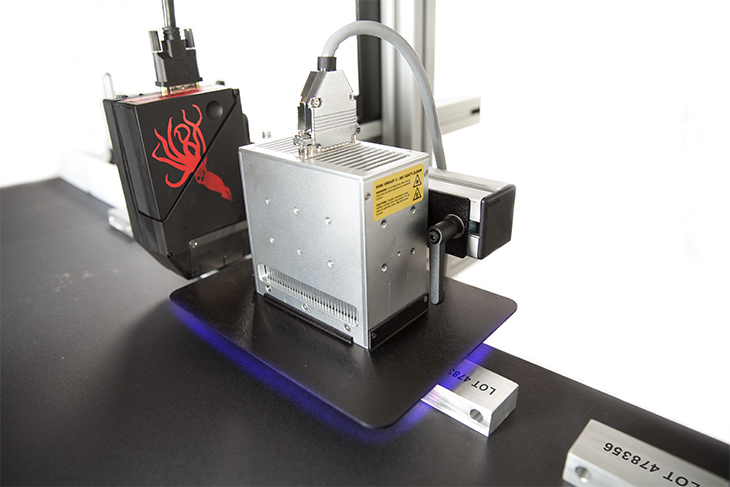 Standard bracketry allows Squid UV LED to mount directly to your existing manufacturing line. 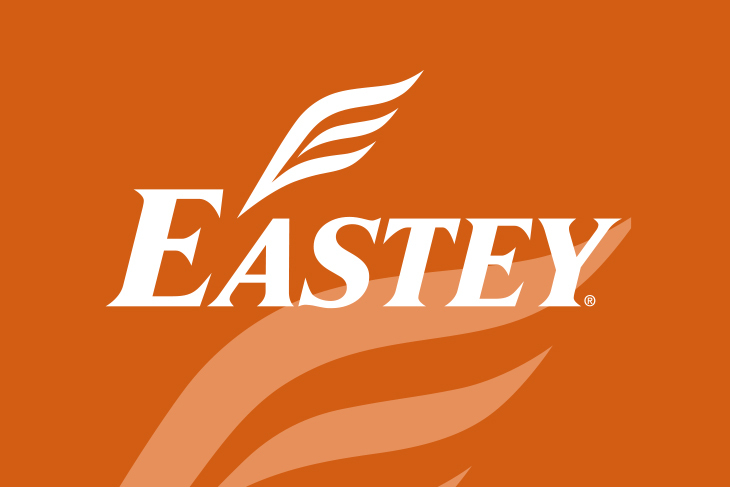 Adjustments are easily made with the simple-to-use touchscreen interface. 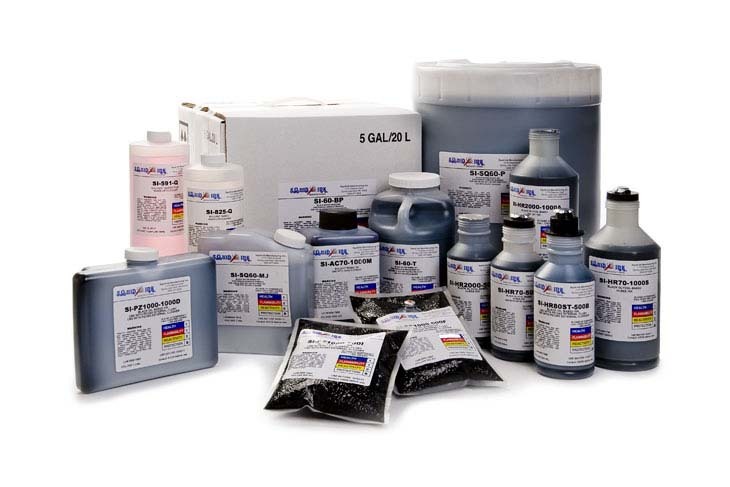 Squid UV LED provides reliable curing on coated cartons, plastics, metals, foils, film, rubber, and more.